You'll explore the less-touristy side of things at Ngarru Gallery and Sunday Market Port Douglas. Get in touch with nature at Scuba & Snorkeling and Safaris. Change things up with these side-trips from Cairns: Hartley's Crocodile Adventures (in Palm Cove) and Four Mile Beach (in Port Douglas). And it doesn't end there: head off the coast to Michaelmas Cay, tour the pleasant surroundings at Esplanade Boardwalk, explore the world behind art at Cairns Art Gallery, and take in the dramatic scenery at Josephine Falls. To see ratings, other places to visit, where to stay, and other tourist information, refer to the Cairns attractions app . Copenhagen, Denmark to Cairns is an approximately 24-hour flight. You can also do a combination of train and flight. The time zone difference moving from Central European Time to Australian Eastern Standard Time (Queensland) is 9 hours. Plan for warmer temperatures traveling from Copenhagen in February, with highs in Cairns at 36°C and lows at 28°C. Finish your sightseeing early on the 4th (Mon) so you can travel to Townsville. Do some cultural sightseeing at The Drill Hall Studio and Museum of Tropical Queensland. You'll explore the less-touristy side of things at The Strand and Fishing Charters & Tours. There's lots more to do: discover the deep blue sea with a scuba or snorkeling tour, steep yourself in history at National Trust Heritage Centre, and view the masterpieces at Pinnacles Gallery. Planning Townsville trip won't be overwheling when you use's Insprock itinerary maker. Fly from Cairns to Townsville in 3.5 hours. Alternatively, you can drive; or take a bus. In March in Townsville, expect temperatures between 36°C during the day and 28°C at night. Finish your sightseeing early on the 7th (Thu) so you can take a bus to Airlie Beach. Explore hidden gems such as Grays Bay and Nature & Wildlife Tours. Get in touch with nature at Scuba & Snorkeling and Whitsunday Great Walk. Next up on the itinerary: see the interesting displays at Proserpine Museum, view the masterpieces at Art Whitsunday Gallery & Shop, zoom along the surf with a waterskiing or jet-skiing adventure, and enjoy the sand and surf at Boathaven Beach. To find reviews, maps, more things to do, and other tourist information, refer to the Airlie Beach attractions planner . Getting from Townsville to Airlie Beach by bus takes about 4 hours. Other options: drive; or do a combination of train and bus. In March, daytime highs in Airlie Beach are 33°C, while nighttime lows are 28°C. Finish up your sightseeing early on the 11th (Mon) so you can travel to Brisbane. Get some cultural insight at Queensland Art Gallery and Queen Street Mall. Boggo Road Gaol and St. John's Anglican Cathedral will appeal to history buffs. 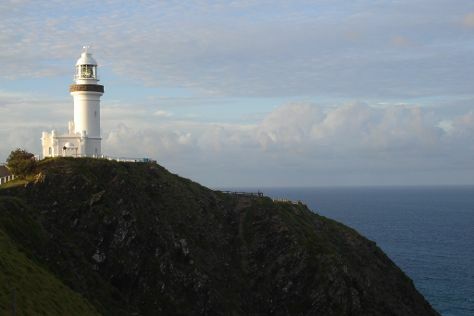 Step out of Brisbane to go to Wellington Point and see King Island, which is approximately 48 minutes away. There's still lots to do: look for all kinds of wild species at Lone Pine Koala Sanctuary, kick back and relax at Shorncliffe Beach, take a stroll through West End, and contemplate in the serene atmosphere at Catholic Old St. Stephen's Church (chapel). You can plan Brisbane trip in no time by asking Inspirock to help create your itinerary. You can do a combination of bus and flight from Airlie Beach to Brisbane in 5 hours. Other options are to do a combination of ferry and flight; or drive. Plan for slightly colder nights when traveling from Airlie Beach in March since evenings lows in Brisbane dip to 23°C. Wrap up your sightseeing on the 14th (Thu) to allow time to drive to Byron Bay. Head to Tweed Regional Gallery & Margaret Olley Art Centre and Thomgalleryfor plenty of shopping. Your cultural itinerary includes sights like Evans Head Memorial Aerodrome Heritage Aviation Museum and Hammer and Hand Byron Bay Jewellery and Metal Collective. Get out of town with these interesting Byron Bay side-trips: Yamba (Main Beach Yamba, Turners Beach, & more), Bexhill Open Air Cathedral (in Bexhill) and Lighthouse Beach (in Ballina). There's still lots to do: tour the pleasant surroundings at Cape Byron Walking Track, hunt for treasures at Bangalow Market, take in the exciting artwork at Lismore Regional Gallery, and kick back and relax at Broken Head Beach. Plan my trip to Byron Bay with suggested itineraries provided by Inspirock. Traveling by car from Brisbane to Byron Bay takes 2 hours. Alternatively, you can take a bus; or do a combination of train and bus. In March, daytime highs in Byron Bay are 32°C, while nighttime lows are 20°C. Wrap up your sightseeing on the 20th (Wed) to allow time to take a bus to Gold Coast. Step off the beaten path and head to Kirra Beach and Natural Bridge. Head to Robina Town Shopping Centre and Miami Markettafor plenty of shopping. When in Gold Coast, make a side trip to see New Govardhana Australia in Eungella, approximately 50 minutes away. Spend the 25th (Mon) exploring nature at Springbrook National Park. Next up on the itinerary: explore the wealth of natural beauty at Burleigh Head National Park, enjoy the sand and surf at Surfers Paradise Beach, stroll through Greenmount Beach, and appreciate the history behind Captain Cook Memorial and Lighthouse. Plan trip to Gold Coast with our itinerary maker to find out where to go and what to do. Take a bus from Byron Bay to Gold Coast in an hour. Alternatively, you can drive. March in Gold Coast sees daily highs of 32°C and lows of 23°C at night. Finish up your sightseeing early on the 25th (Mon) so you can go by car to Caloundra. Kick off your visit on the 26th (Tue): tour the pleasant surroundings at Mooloolaba Beach, relax and rejuvenate at some of the top local wellness centers, and then kick back and relax at Marcoola Beach. Get ready for a full day of sightseeing on the 27th (Wed): see the interesting displays at Queensland Air Museum, buy something for everyone on your list at Kawana Shoppingworld, and then identify plant and animal life at Point Cartwright. 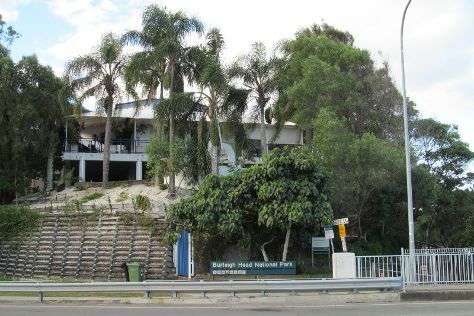 To find traveler tips, maps, reviews, and more tourist information, read Caloundra road trip planning app . Getting from Gold Coast to Caloundra by car takes about 2 hours. Other options: take a bus; or take a train. 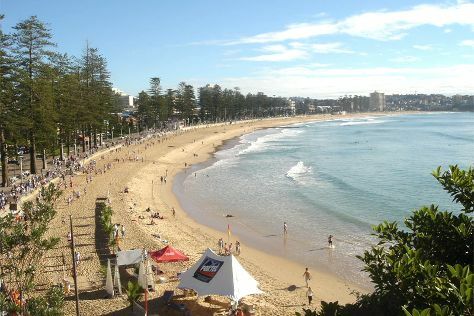 March in Caloundra sees daily highs of 32°C and lows of 23°C at night. Finish your sightseeing early on the 27th (Wed) to allow enough time to travel to Montville. Montville is a small town in the Sunshine Coast hinterland, on the Blackall Range in Queensland, Australia, around 400 metres above sea level. Kick off your visit on the 28th (Thu): explore the galleries of Montville Art Gallery, identify plant and animal life at Mary Cairncross Scenic Reserve, then contemplate in the serene atmosphere at Chenrezig Institute, and finally take in the exciting artwork at Artworks in Clay by Anne Gentry-Smith. For ratings, maps, and other tourist information, use the Montville trip builder . Getting from Caloundra to Montville by car takes about an hour. In March, daily temperatures in Montville can reach 32°C, while at night they dip to 23°C. Finish your sightseeing early on the 28th (Thu) so you can travel to Noosa. Kick off your visit on the 29th (Fri): enjoy the sand and surf at Noosa Main Beach, then see the interesting displays at Gympie Gold Mining and Historical Museum, and then admire the natural beauty at Noosa Botanic Gardens. Here are some ideas for day two: explore the wealth of natural beauty at Noosa National Park. For more things to do, reviews, other places to visit, and tourist information, go to the Noosa online tour itinerary planner . Drive from Montville to Noosa in an hour. Wrap up your sightseeing on the 30th (Sat) early enough to drive to Hervey Bay. Kick off your visit on the 31st (Sun): see the interesting displays at Bond Store Museum, then steep yourself in history at Mary Ann Steam Locomotive, and then enjoy the sand and surf at Burrum Heads Beach. For photos, traveler tips, other places to visit, and more tourist information, go to the Hervey Bay driving holiday planning tool . Traveling by car from Noosa to Hervey Bay takes 3 hours. Alternatively, you can take a train; or take a bus. In March, daily temperatures in Hervey Bay can reach 35°C, while at night they dip to 24°C. Finish your sightseeing early on the 31st (Sun) to allow enough time to travel to Sydney. Appreciate the collections at Australian National Maritime Museum and Brett Whiteley Studio. Your cultural itinerary includes sights like The Rocks and Bradman Museum & International Cricket Hall of Fame. Change things up with these side-trips from Sydney: Katoomba (Wentworth Falls & Canyoning & Rappelling Tours), Shelly Beach (in Manly) and Nan Tien Temple (in Wollongong). Next up on the itinerary: enjoy the sand and surf at Bondi Beach, learn more about the world around you at Australian Museum, stroll through Manly Beach, and take in nature's colorful creations at Royal Botanic Garden Sydney. To see ratings, other places to visit, photos, and tourist information, you can read our Sydney trip site . Fly from Hervey Bay to Sydney in 3.5 hours. Alternatively, you can drive; or take a train. While traveling from Hervey Bay, expect a bit cooler days and about the same nights in Sydney, ranging from highs of 30°C to lows of 22°C. Wrap up your sightseeing on the 7th (Sun) to allow time to travel back home.